Baywatch (film, 2017). A 2017 American action comedy film with "R" rating by Paramount Pictures. Directed by Seth Gordon. Official Trailer. Baywatch is a 2017 American action comedy film directed by Seth Gordon. 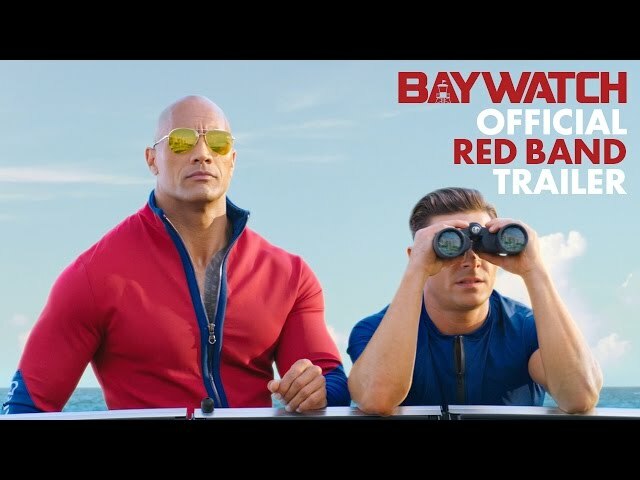 Baywatch (2017) - Official Red Band Trailer - Paramount Pictures. In Emerald Bay, Florida, Lt. Mitch Buchannon and his team of lifeguards, including second-in-command Stephanie Holden and veteran C. J. Parker, protect the beaches and the bay as part of an elite division known as Baywatch. Having made over 500 rescues in his career, Mitch is beloved by the community, to the annoyance of local beat cop Garner Ellerbee and Mitch's superior, Captain Thorpe. During one of his morning patrols, Mitch discovers a small pouch of flakka drug washed up near the Huntley Club, which is now under the ownership of Colombian businesswoman Victoria Leeds, who has been secretly bribing city councilman Rodriguez and others in efforts to increase her stake in the bay. Principal photography on the film began on February 22, 2016, in Deerfield Beach, Florida, with the setting in Broward County, Florida, while the TV series was set in Malibu, California. 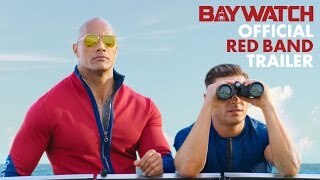 The film Baywatch was scheduled to be released by Paramount Pictures on May 13, 2017 (Miami), on May 25, 2017 (United States) and on June 1, 2017 (Germany). The duration of the film is 116 minutes. With a budget of $65 - 69 million, the film grossed over $177.9 million. Baywatch got low rating from critics. But the audience likes the film. Audiences polled by CinemaScore gave the film an average grade of "B+" on a scale ranging from A+ to F.